Today we are talking about Physicians Formula The Healthy Foundation. I received this product from Physicians Formula and Influenster to try for myself and give an honest review for you! This product has a long list of pros, for example: hypoallergenic, fragrance-free, paraben-free, gluten-free, dermatologist tested, non-comedogenic, clinically tested, cruelty-free, and vegan! This foundation is also packed with Chinese Wu Zhu Yu Extract and Hyaluronic Acid to brighten, hydrate, and even skin tone! Check out the video below to see how to apply The Healthy Foundation, and pair it with a simple makeup look! So if you watched my video, you can see that when I first applied the foundation with the beauty blender it was a little spotty and did not have smooth, full coverage all over my face. Then, I went in with a second coat and a foundation brush. Everything looked great after that! Overall, I really liked the final look. The consistency at first was a little tough to blend, but I'm thinking the reason for that is because of the SPF included in the foundation, which makes it a little bit thicker than normal. -This product is buildable!! As you can see in the video above, I applied it twice because coverage the first time didn't cover all my redness. -Don't be afraid to try a couple of different shades to get the right one! I think this particular shade was a little light for me, but with a little bronzer the end result turned out well! 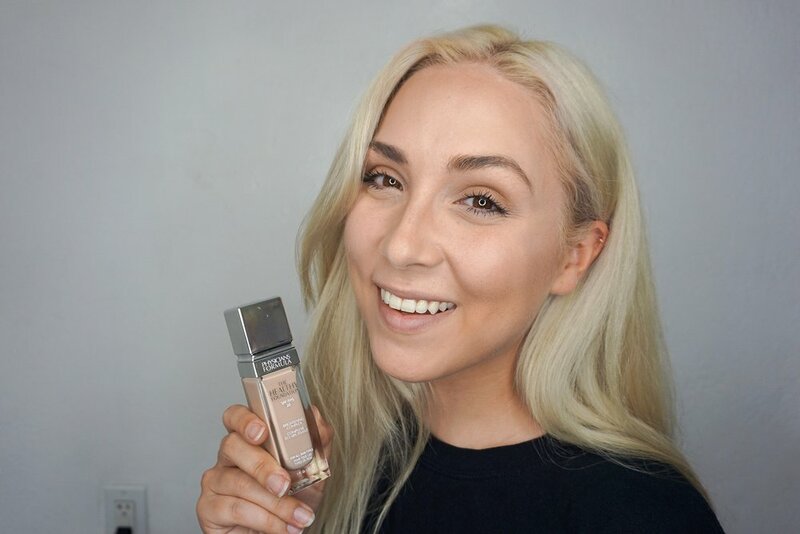 -I haven't used this foundation enough to know if it actually hydrates and evens skin tone (like it claims on the bottle), but that's why you should try it and find out for yourself! As always, if you guys have any questions, comments, concerns, or poetry please feel free to let me know!